TurboTax Tax Preparation: as long as your tax is not too complicated, you should be able to prepare it with tools like this. To get started, just snap a photo of your W-2, answer simple questions about your life, and efile securely from your mobile device. My Block: use the app to estimate your tax refund, upload documents and send them to your tax pro, and access your prior tax returns. 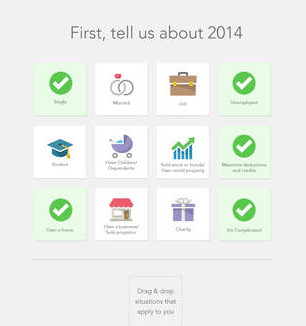 The app also lets you know what you need to complete your taxes. 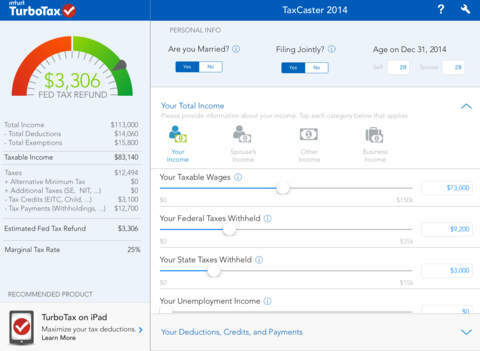 TaxCaster: this app gives you a quick estimate on your taxes before you prepare your tax return. XpenseTracker: helps you record all your expenses, customize categories and fields, and export your data. You can use your iPhone’s built-in camera to take snapshots of your receipts and export them to your desktop. 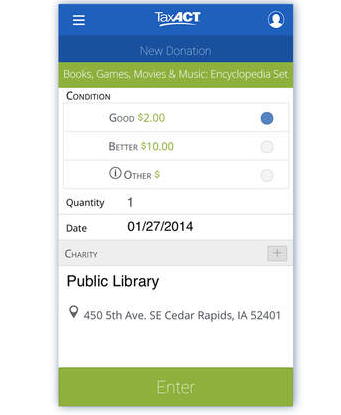 Donation Assistant by TaxACT: this app tracks your charitable donations through the year. You will be able to save your cash, non-cash and recurring donations. 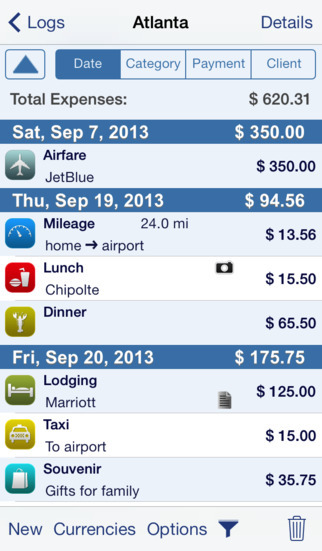 The app also lets you attach photos of your receipts using your iPhone camera. 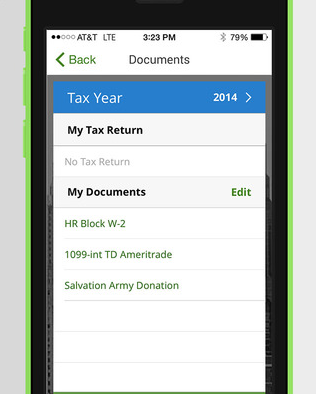 What are your favorite tax preparation apps for iPad? Please share them here.